Google indicated last year that extra emphasis was going to be given to mobile responsive websites. Furthermore, the early adopters of integrated mobile ready sites with quality local search capabilities are going to be the standout winners with the next Google update slated April 21. The latest round of Google updates will continue to focus on the increasingly high reliance on mobile devices for product research during the decision making consumers make for products and services. The natural extension of this process is to create a positive purchasing experience for mobile devices and Google is pushing Digital businesses to lift their game. As search from mobiles and purchases continues to increase, the updated search engine algorithm will reflect the shift towards mobile friendly websites and online stores, directly responding to consumer centric search. 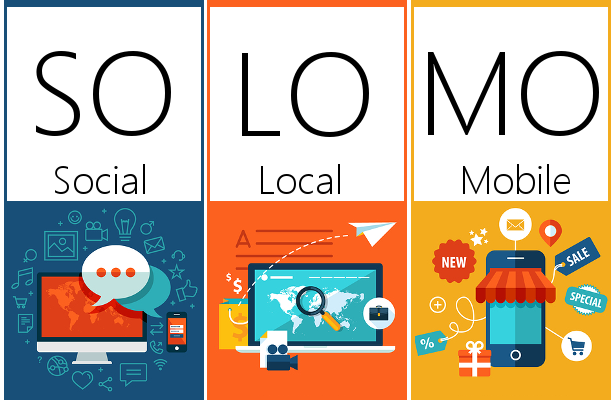 Social, Local, Mobile (SOLOMO) now ‘front and center’ of Googles search parameters... we've been monitoring and discussing this movement for the past 18 months… no surprise to us! Have you received a Google notification email recently about Mobile friendly sites? What is your Digital Marketing Strategy moving forward into 2015? Receive a free digital review from Visionary by completing this form. Why You Absolutely Still Need A Business Website! What Do I Want From Networking?